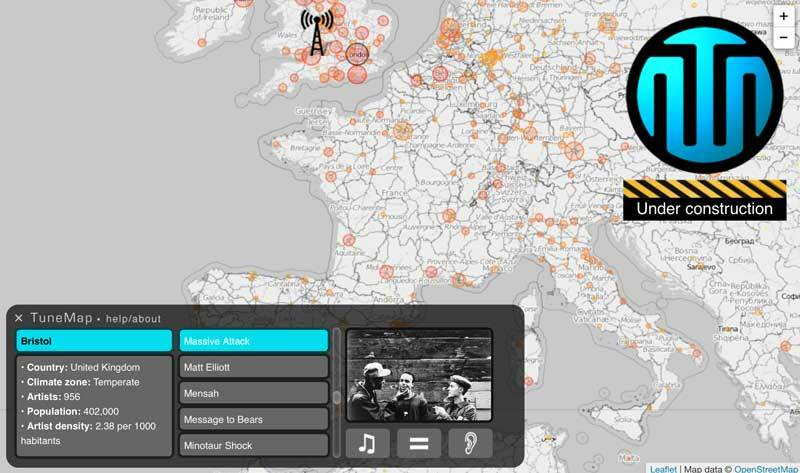 Tunemap is a geolocation-based music information browser. It started as a project for the 2012 Music Hack Day in Barcelona, but it is now in development with lot of features yet to come. – Published in the Re-New Digital Arts Forum, 2013. Download the conference proceedings. 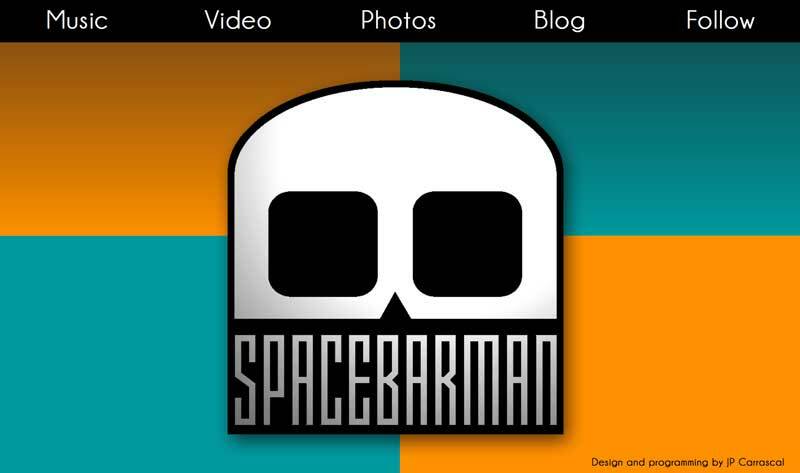 This is the website of the band Spacebarman. It is basically a mashup that connects to the web presence of the band across music, video, image and other content websites in one place. 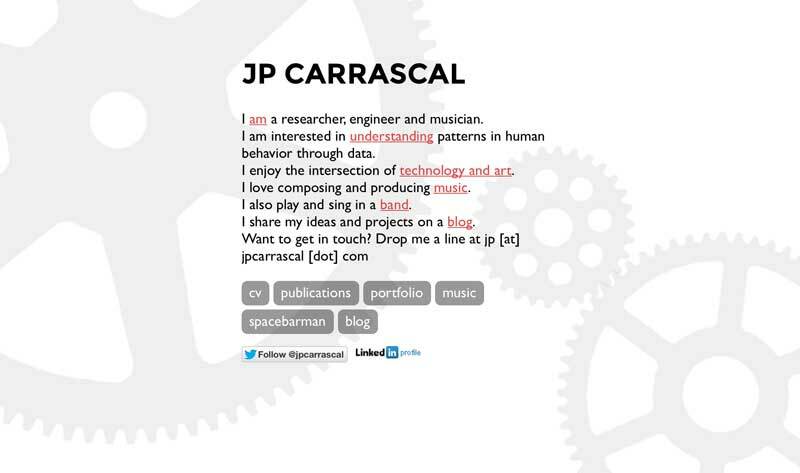 A simple landing page for my online presence. 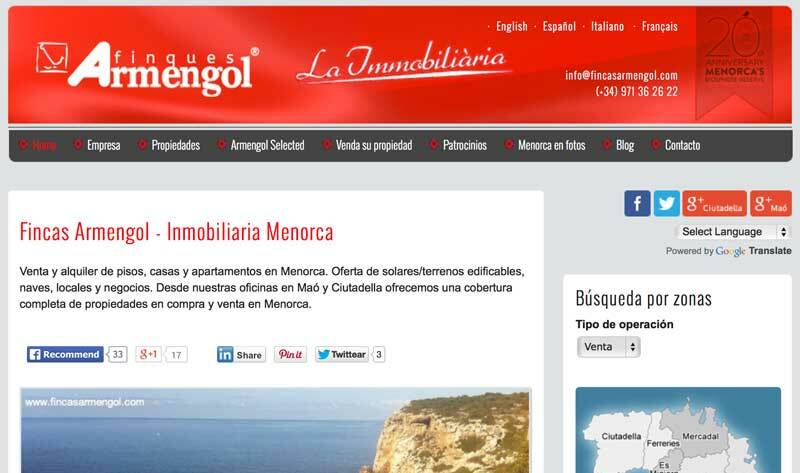 Fincas Armengol is a real estate dealer from Menorca, Spain. In 2013 they launched a new website, designed by Carlos Tálaga and programmed by me. It is based on WordPress but I built a custom database structure tu support the huge amount of data from their real estate properties, as well as a custom search engine.